In 1973, GSE entered the industrial weighing industry by designing the patented "Floating Beam Platform". The platform was specifically designed for automotive customers requiring high precision in a harsh industrial environment. 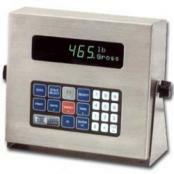 GSE Scale Systems provide the highest quality weight based products for demanding applications. GSE is now a wholly owned subsidiary of Avery Weigh-Tronix, LLC. 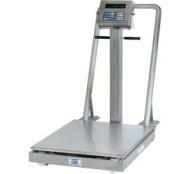 GSE is a global leader in programmable weight indicators and scales. GSE products are ideal for simple weighing or counting of anything from gold dust to freight trains. GSE indicators can control bagging and batching processes, check weighing, inventory control and interface with PLC systems or data managements systems. GSE indicators may be programmed with a powerful macro language or User C and can connect with scoreboards, printers, scanners, feeders, photo sensors, switches and relays. GSE products are sold through an international network of distributors and equipment manufacturers that can provide you with a simple "off the shelf" solution or a sophisticated custom application to improve your productivity and increase the accuracy of your processes. Of course since Central Carolina Scale has been a GSE distributor for many years we have experience with many of the older items like the 450 and 550 indicator or the 574 counting scale. Unfortunately, most of the GSE scale lineup has been discontinued. We still have some replacement parts available. Contact us for parts and product replacement recommendations. 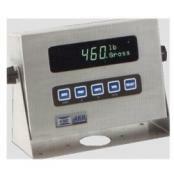 GSE 60 Series OptionsFor applications that require an elevated level of flexibility over elementary weighing indicators, the GSE 60 Series is usually a great choice. This line of indicators has a large list of options that are available. GSE Scale ManualsScale Manuals & User Guides are Available for GSE scales such as the GSE 250, 350, 450, 460, 550, 574, 675, and more. Tech Manual 60 Series. General Model 515/525 3500 Quick Reference Model 574. 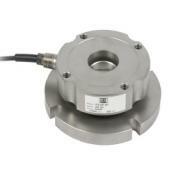 Calibration instructions Model 5500 Quick Reference Model 675. Model 351 Instructions.